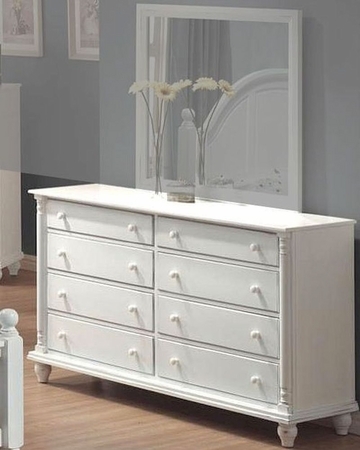 The Kayla traditional dresser is crafted from tropical hardwoods and veneers in a lightly distressed white finish. Classic details like turned posts, simple molding and wood knobs added to the timeless style for a sophisticated and inviting master bedroom suite. 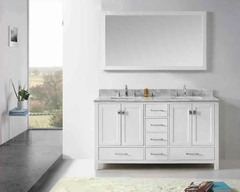 This collection has a casual look to create a soothing getaway in your home where you can really relax.